Welcome to our Weekend Planner, with our picks for family fun this busy October weekend in Champaign-Urbana. The trees are slowly showing their gorgeous colors, and we share our Top Five Places to see Fall Color so you don’t miss out on this sometimes brief fall foliage season. Looking for pumpkin patch fun? Area pumpkin patches are open. Just can’t wait for Halloween? There are some family-friendly Halloween events , as well as haunted houses for the teens and adults. Wondering how to put those Halloween costumes together without breaking the bank? We have suggestions for that as well. It’s also Homecoming Weekend at the University of Illinois. Curious how your family can take part? Our guide helps you plan, with FREE activities to celebrate #ILLINOIShomecoming. 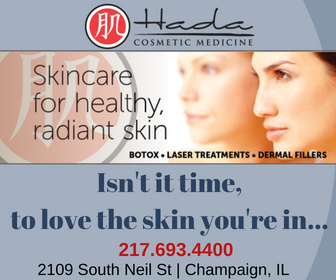 Where: Parade starts at Sixth Street and Taft Drive in Champaign, travels through Campustown and turns south on Mathews Avenue in Urbana to end at the Quad. Why you should go: It’s Homecoming, and that means plenty of hoopla and Illini pride — not just for students but also for alumni and the community at large. On Friday afternoon there will be hours of family-friendly fun, starting at 3 p.m. with games and entertainment on the Quad. The parade will start at 6 p.m. (bring a flashlight and bag for candy!) For more information on a family-friendly Illini Homecoming, see our Pocket Guide. Where: Grange Grove at Memorial Stadium How much: Free, no ticket is required to enter Grange Grove. Food and merchandise are available for purchase. When: Saturday, October 13. Grange Grove opens for tailgating at 7:00 a.m., and activities start at 11:30 a.m. The Fighting Illini Walk is at 12:00 p.m. Game time is 2:30 p.m.
How much: FREE, no ticket is required to enter Grange Grove. Food and merchandise are available for purchase. You must have a ticket to enter the Football Game. Why you should go: Cheer on the Fighting Illini football team as they face Penn State for Homecoming. The football team, cheerleaders, and Marching Illini all make an appearance and families are treated to free music and activities like inflatables, face painting, and more! The Fighting Illini Walk allows fans to line the pathway and cheer the team on as it makes its way into the stadium. Read our Mom Review of Grange Grove here. When: Saturday, October 13, 9:00 a.m. – 2:00 p.m.
Why you should go: If your family is into the maker culture, this event is not to be missed. Makers, tinkerers, creators, inventors, DIYers, and musicians will gather together to share their work with the public. When: Saturday, October 13, 2:00-6:00 p.m. You must Pre-register by Oct. 12 if you would like a pumpkin. Why you should go: Spooky stories and autumn activities await you! Enjoy the fun traditions of the season, including pumpkin carving and decorating, scarecrow making, hay-rack rides, open fire cooking, and spooky stories! The event is open to all, but registered guests will receive one pumpkin per registrant. For more family fun in Mahomet, see our post Top 10 Things to do with Kids in Mahomet. When: Saturday, October 13, 2:30 – 4:00 p.m.
Why you should go: Join the Urbana Free Library to celebrate Latin American culture through wonderful traditional music, crafts, bilingual storytelling! For more weekend fun at the Urbana Free Library, check out the fun Friday night event, Furry Friends Overnight. 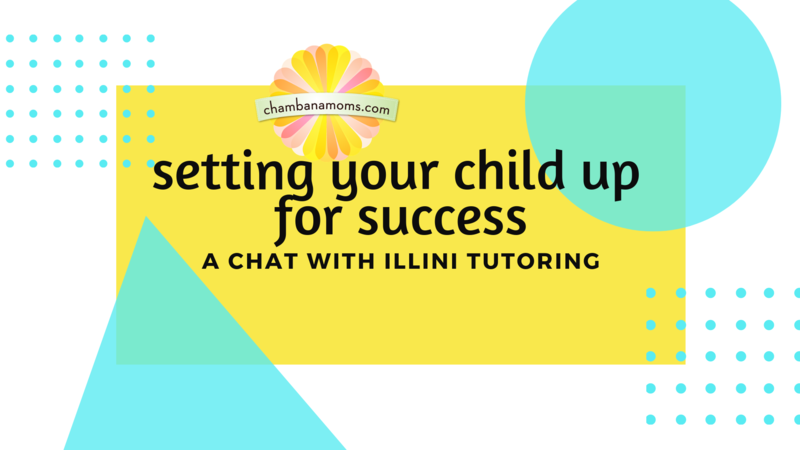 When: Sunday, October 14, 8:30 – 9:30 p.m.
Why you should go: Join us on our Facebook event page as we chat with Illini Tutoring and discuss strategies and techniques to help your children succeed in school. Offering strategies and techniques for children of all ages, there will be something for everyone in this chat. We will be ready to take your questions and hope that you can join us for this informational evening! Looking for more family-friendly things to do this weekend? There are plenty more options! Check our events calendar, sponsored by Busey.